Social media is undoubtedly a force of good in the world. It has given a voice to the voiceless. It has enabled the rapid creation and sharing of all manner of images, audio and video on an unprecedented scale. It has allowed independent businesses to affordably take their products directly to potential customers. It has broken down barriers and connected people from all around the world. Social media is undoubtedly a force of evil in the world. It has given a voice to bullies. It has been linked to depression, suicide and school shootings. It has caused users of all ages to become addicted to their phones, unable and unwilling to have “real” conversations and left them vulnerable to predators. It has irreversibly shattered traditional media, journalism and business models. The same technologies and networks that bring us together can be cruelly twisted to exclude each other, and it can be the cause of tremendous emotional suffering. But if we are using it mindfully, it can also amplify our cry for help and summon the support of our friends and community reminding us that we are not alone. We can’t let ourselves get so wrapped up in our own posts that we miss the subtle warning signs that someone is struggling – the warning signs that someone might harm themselves or others. 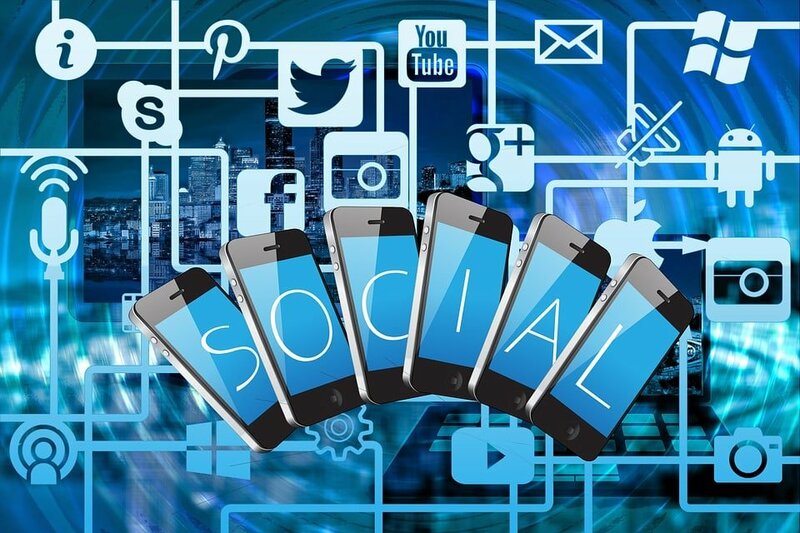 At LaunchUX, a digital marketing firm that relies heavily on social media, we firmly believe in the positive power of social media as a professional tool, and we enjoy it recreationally as well. We use Facebook, Twitter, Instagram, Snapchat, LinkedIn – name a social network and one of us is fooling around with it to see how it works. We’re even dabbling in VSCO now that Hannah and Jacob (the helpful teenagers who we’ll see more of later in this series) have explained to us what it is. But many of us at LaunchUX are also concerned parents who are increasingly alarmed at what we see in the news. 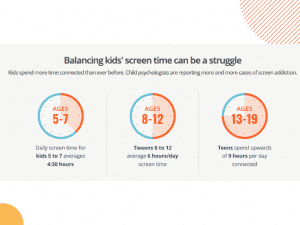 How much screen time is too much for our children? How can we keep them safe from predators? How can we protect them from bullying against classmates? How can we make sure that they’re not the ones doing the bullying? How can we know who is following them? How can we control how much of their information is public? Is it an invasion of privacy to look at their phones? (The answer to this one will probably surprise you). The good news is that you’re asking the right questions. The bad news is that there are no hard-and-fast rules here. Open communication between parents and children will be key, and the answers will vary from household to household. What we hope to achieve with this talk and subsequent blog series is provide information from our knowledge of working with social media and with the research that our Marketing Director Janelle DelSignore has done as well as a frank discussion with two high schoolers with first-hand experience. Here is what parents should know about kids and social media. 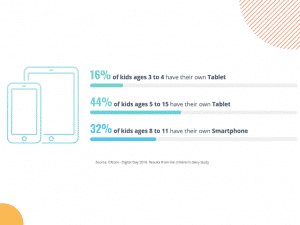 It’s probably not surprising to hear that kids today spend a lot of time looking at screens. What is surprising is how much. Essentially, half the demographic under the age of 15 has access to some form of mobile device. But the real surprise is that – as a society – we haven’t figured out a universal approach to this issue that affects so many children. Why are smartphones and tablets different? Why is it a problem that parents don’t always know what their children are doing on these devices? What are parents up against today that previous generations didn’t have to worry about? One of the problems is that we haven’t decided how to view the smartphone. Sure. Although, teenagers rarely use it as one (the exception is to call their parents). But previous generations had landlines. There was a phone in the kitchen, and when you spoke to your friends, a parent was almost always nearby – on both ends of the call. This is not the case with smartphones. Most of the communication is done on the go in the form of stealthy texts, Snaps or other postings – depending on your social network of choice (and there are many to choose from). Well, sure. But not in the traditional sense. Not too long ago, a household was lucky to have a single computer to call its own. It was the “family computer,” and everyone in the family used it. Friends from down the street who didn’t have a computer would come over to use yours. Computers couldn’t really do that much at this time. They could play some games off of CD-ROMs, and the dial-up internet left much to be desired. And then there were the fights between the people who needed to use the family phone and the people who needed to use the family computer because you couldn’t do both at the same time. As long as parents regard it as either a phone or a computer, they will always be missing a huge part of the picture. And they will fail to understand how smartphones fit into the delicate balance that is the teenage ecosystem. Smartphones – while resembling things we’re familiar with – are actually something that’s pretty new. It’s a device with more computing power than the computers used to put a man on the moon, and we put it in the hands of people who are too young to have a driver’s license. What could go wrong on social media? Now, this is where the threats come in. We certainly don’t want to scare anyone unnecessarily. Remember: we love social media. It’s a large part of how we earn our living. But it’s a real threat that we’re facing. There are a couple of different options. First, we would encourage you to maintain an open parent-child dialogue. Communication guided by the tools and information in Janelle’s presentation will get you asking the right questions and tell you what to look out for. Next, there are technology solutions. After digging around a little bit, there are two that we recommend if you decide to take this route. We have personally gone through both software suites, and we were blown away by what they are able to do. We’re talking about Qustodio and Kaspersky Safe Kids. Both offer plans that accommodate multiple devices (which could be a set of siblings OR one kid with a phone, a tablet and a computer). The plans may vary, but it is now possible for parents to use services like these to filter the applications that children have on their phones or see how they’re using it. Maybe they don’t need to be on their phone at 1:00 a.m. Maybe they should be in bed. So go ahead and restrict access at that time. They are both available in free and paid versions, and the annual fees seem to be worth it to get that control back of what is basically access for our kids to the entire world. And access for the entire world to our kids. And that access is, after all, what we’re really getting with smartphones and tablets. When it comes to social media, where there is good, there is also bad. As much as we love technology solutions (at LaunchUX we even offer remote support as a professional service), we highly recommend that you incorporate an open dialogue into your solution. Failure to communicate will only cause more secrecy in a situation where transparency is critical. In the next installment, we’ll look at how parents and children can co-exist on social media platforms to ensure safety without ruining the fun. [From here, you can proceed to Part 2 or skip to Part 3].